When Christmas comes down, the front facade of the home appears so plain. 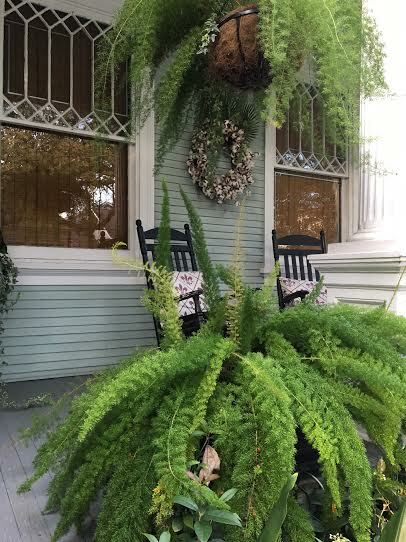 It is too early to decorate for Mardi Gras, so I use my cotton boll wreaths and garlands to add some "life" to the front. The cotton reminds me of snow which is perfect for the wintry month of January. 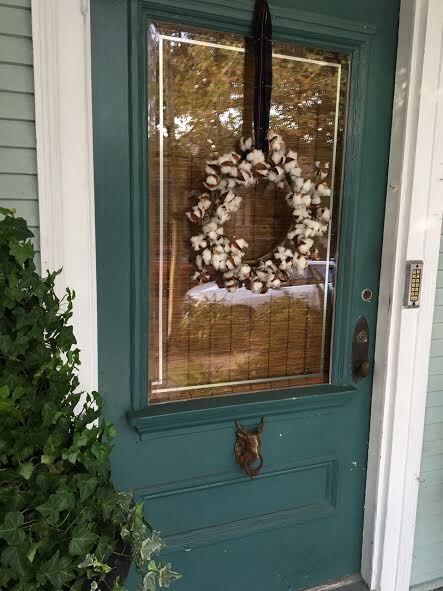 On each door a cotton ball wreath hangs from plaid ribbons. On the wall, my oyster wreath covered in cotton boll garlands and a couple southern palmetto leaves completes the look. How do you transition from Christmas to the next season? The curb appeal at your house is always gorgeous. Ron love your transition. It looks fresh and natural. 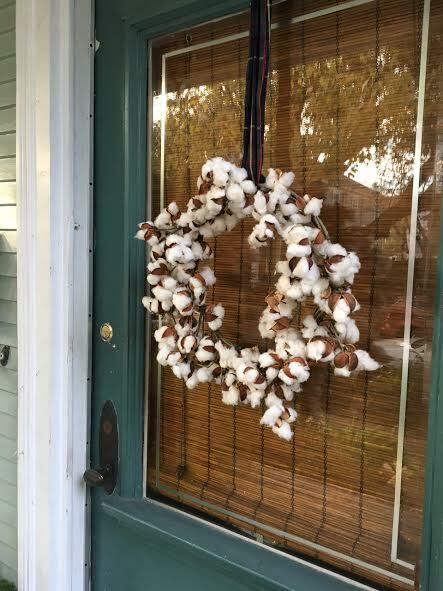 Love the cotton ball wreath. I am looking forward to getting through January and February here in the midwest. Such cold and ughh months. Hoping we see an early spring. 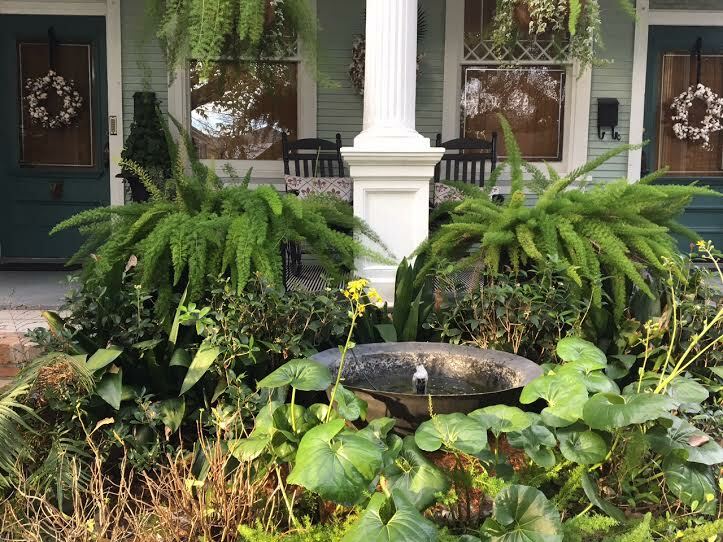 Your front porch looks so welcoming. 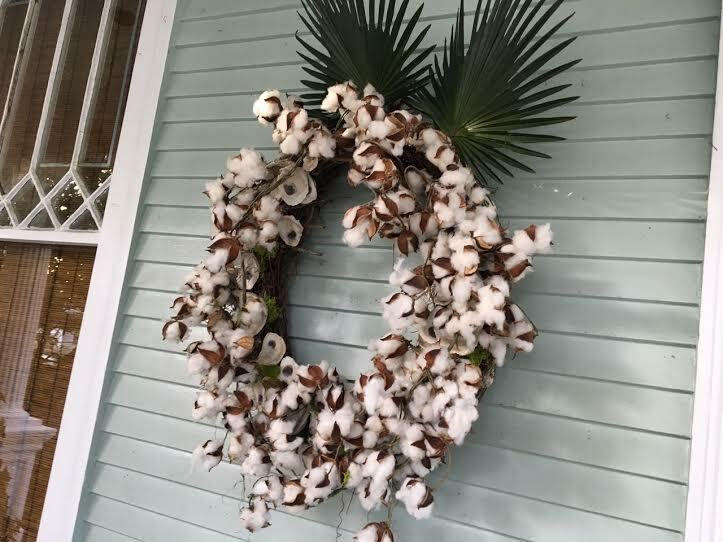 The cotton wreaths are perfect for this time of year. 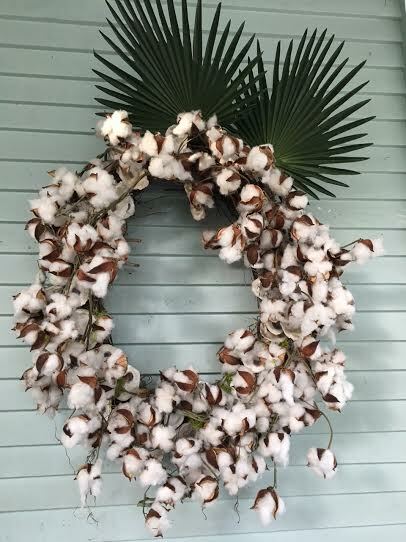 The cotton boll wreaths are a great transitional idea! We just took down the outside holiday decorations but I don't have anything else put up. I have a door basket I need to dress up. Have a great weekend! Love those wreaths. I use a few snowmen in my decor in January! I think the cotton ball wreath is just the perfect accent for your lush garden Ron! Happy 2017 to you both!